I took a few photos of those defects and you can see them below. 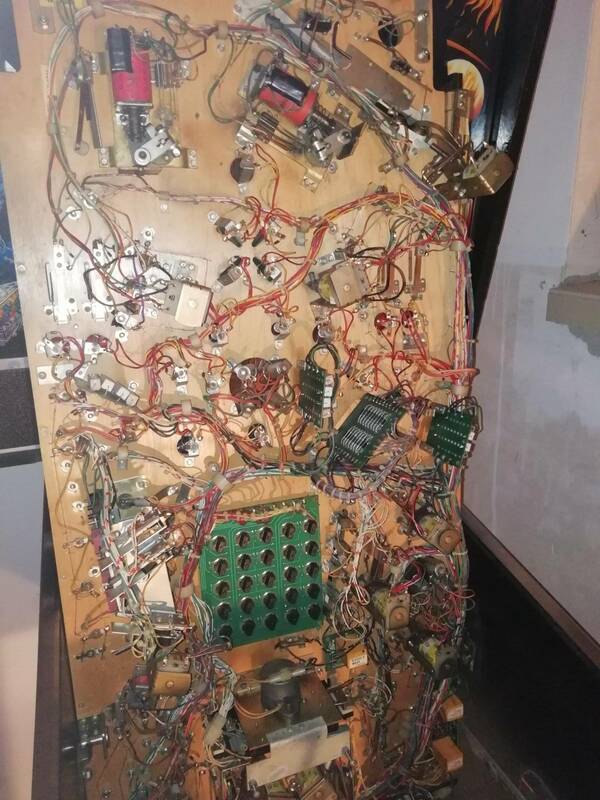 Can you judge if there’s a hope to repair all of them (I’m an absolutely pinball beginner)? Would it be difficult? "Ball stucks inside the visor" is just an adjustment under the PF. Leg screws are very cheap to buy. You have the topper, it's a hard one to find. You'll enjoy Pin*Bot! Yeah that machine looks perfectly workable to me. Your clear vortex plastic is cracked, I would remove that and epoxy it back together and see if that works. If not then you can watch the owners thread, some guys cut new plastics for that ramp from time to time and you can grab one. There is at least one post missing from near your visor which will need to be replaced. The leg bolts are cheap to replace, a new set of chrome legs is around $70 from Marco I think. You could also just remove the ones you have and repaint the black, easy fix. As mentioned above you have the topper which is great. 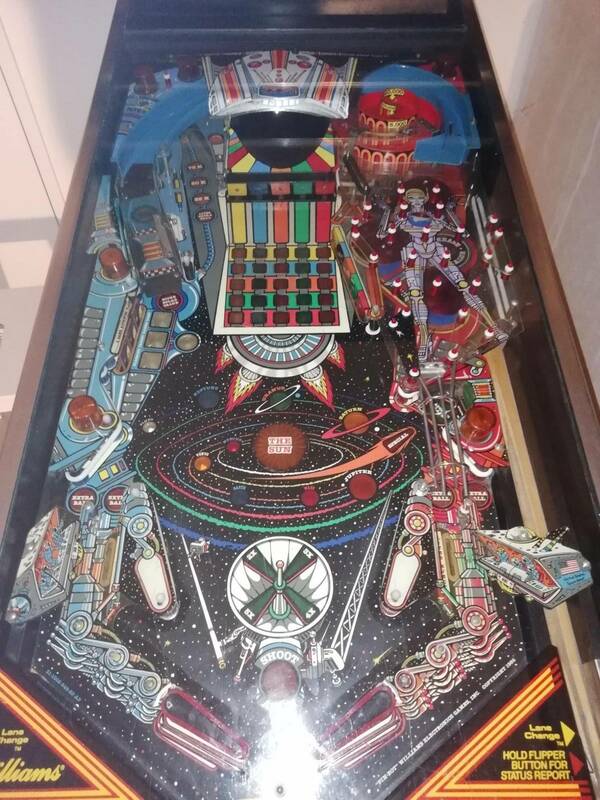 My advice is to look at all the different playfield pictures on the Pinbot owners thread and try to determine exactly what pieces need to be replaced or fixed so you only make one order and don’t pay a bunch for shipping like I did! 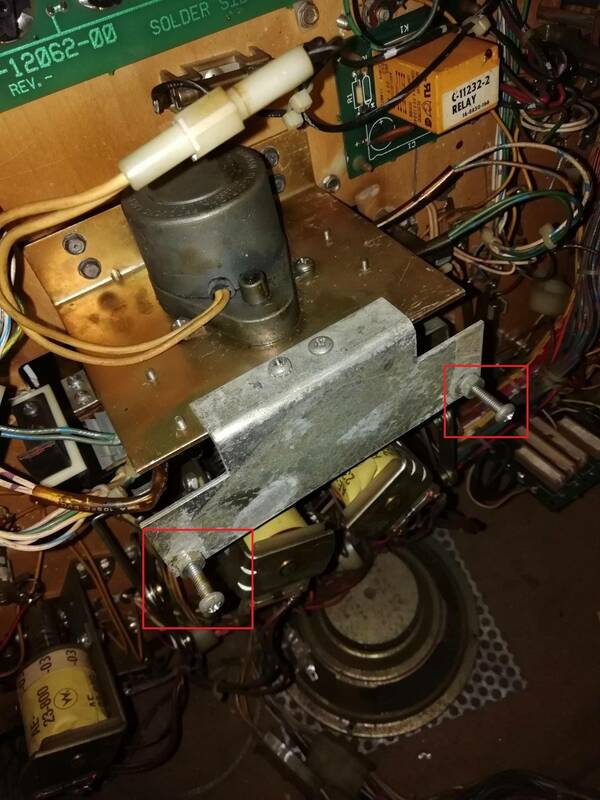 My Pinbot was in worse shape than yours looks and it came out great! Here’s some before and after shots to inspire you. Pinside is a great resources and everyone is here to help you! You may be able to fix the ramp (If necessary) with some Scigrip 3. It may end up looking a little messy, but should be strong. Take this with a grain of salt though, I just used this stuff for the first time a few days ago, and while the stuff I fixed feels solid, I haven't actually seen how it stands the test of time. 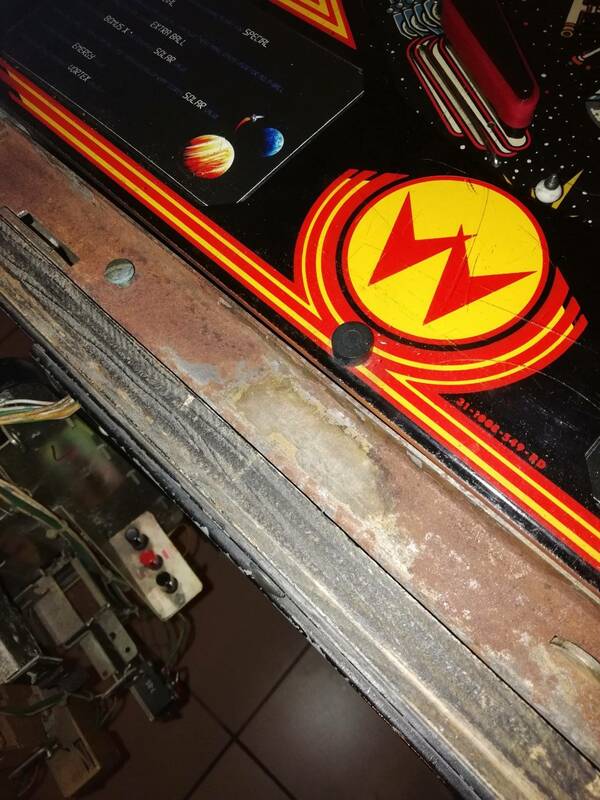 The playfield wear would probably be the hardest thing to fix, but I honestly wouldn't worry about that too much unless you *really* want a pristine game. Just enjoy playing it! 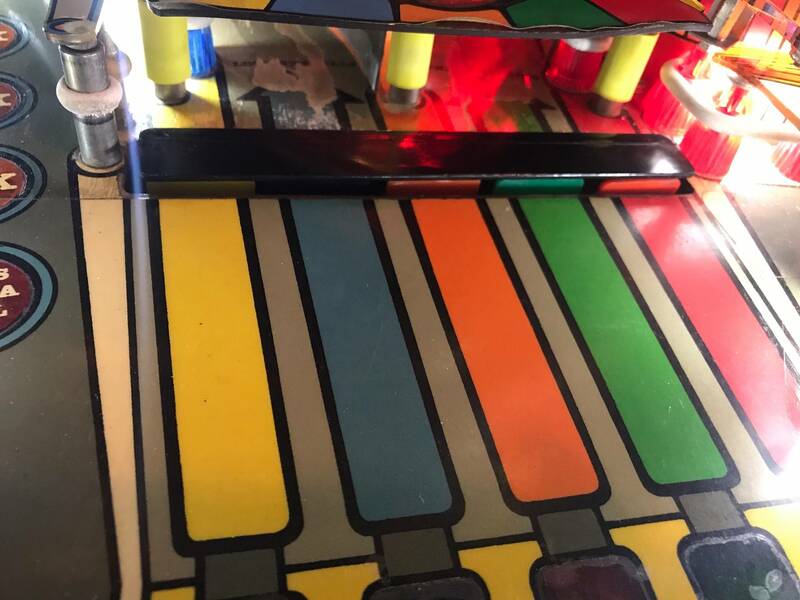 This is all pretty standard stuff on a 33-year old pinball machine so don't sweat it or decide you need to go all intifada on the seller. Just address the issues one by one and you'll be ok. 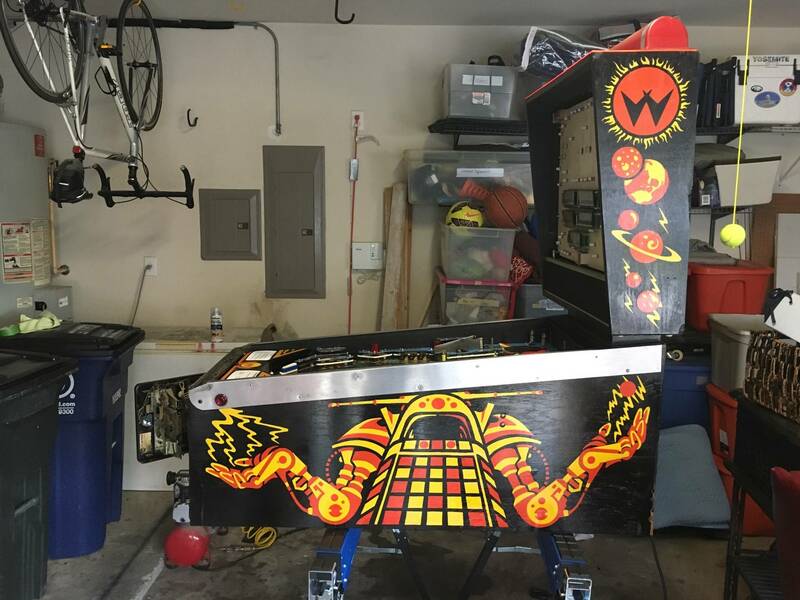 The cabinet wear and the playfield wear is simply the cost of doing business and it shouldn't bother you. If you don't want any of that you need to buy only brand new games. Welcome to the club, I would agree with all the advice above. I will add to it - 1st, get 2 new balls, all new leg bolts and if necessary the plates that those bolts go through (their cheap). 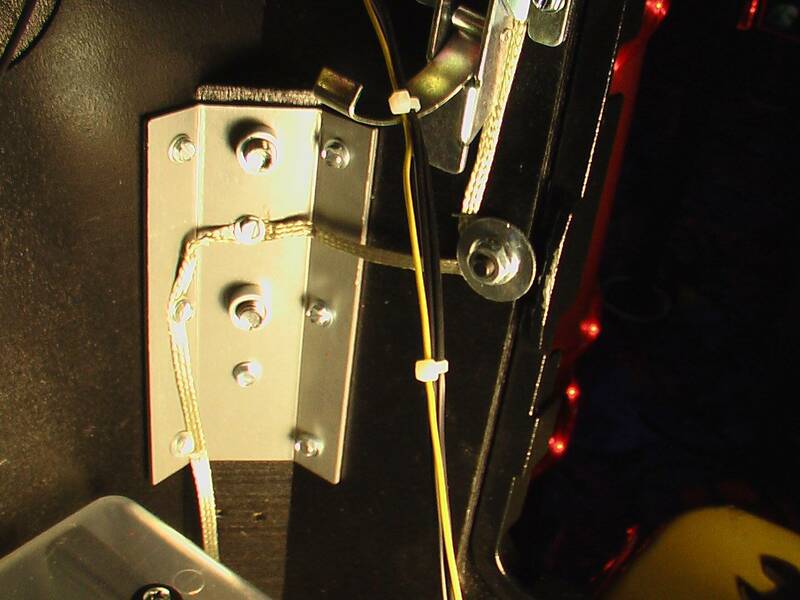 Since your backbox catch is missing it's important to make sure you have 2 bolts securing the backbox to the cabinet - these go inside and bolt vertically to the cabinet. 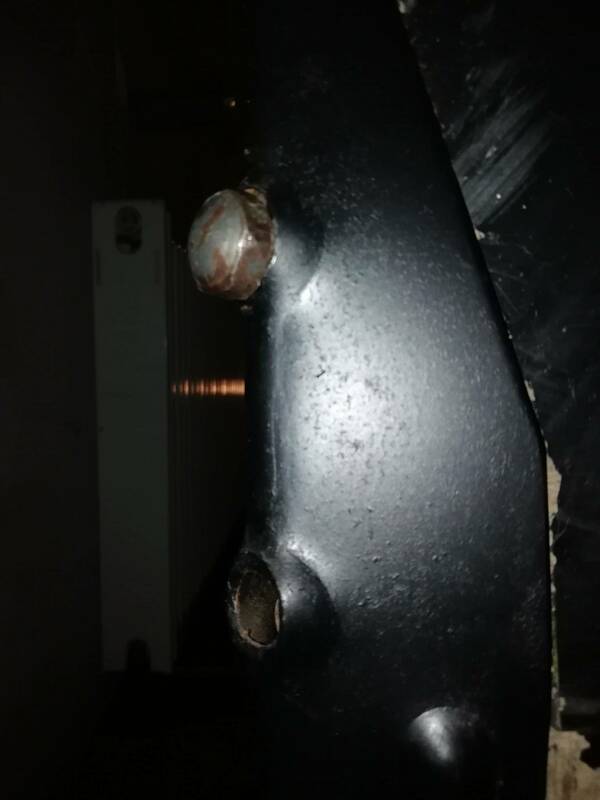 Agreed, always have the backbox bolts installed! 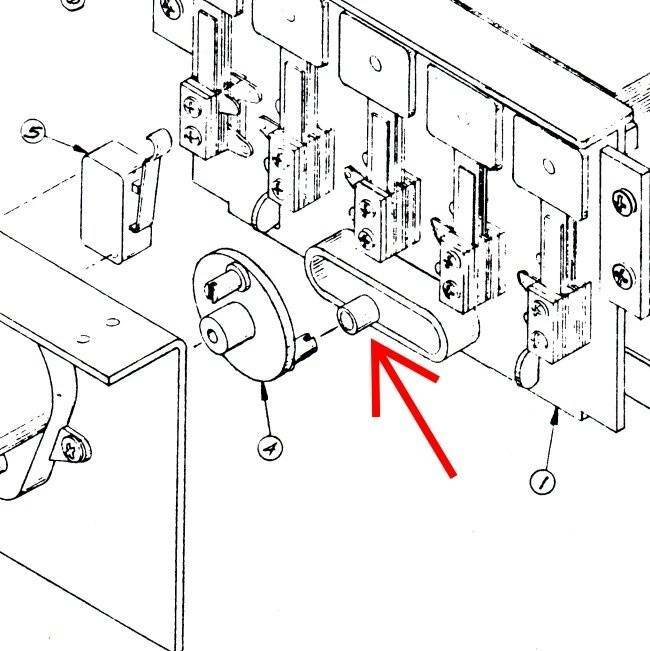 Don’t trust the latch. 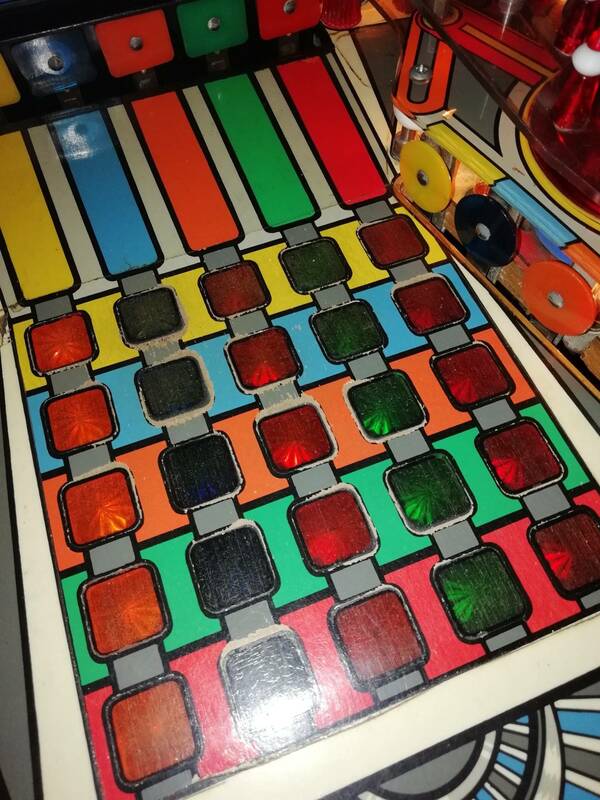 Also just FYI, Pinbot only takes two balls. 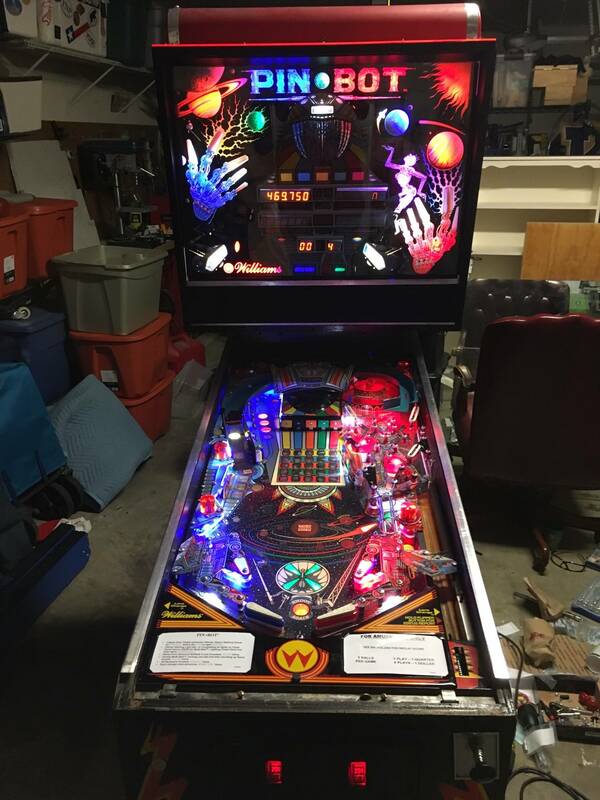 I made the mistake of loading three and couldn’t figure out why it was ejecting the extra ball at the start, lol. For whatever it is worth, a tip I got from a good tech was as long as you have one bolt attached, the head won't go anywhere. I always like two, but I believe him when he says one will keep it upright. Buying a Pinbot will NEVER be the worst decision in your life. Fix it and enjoy it! 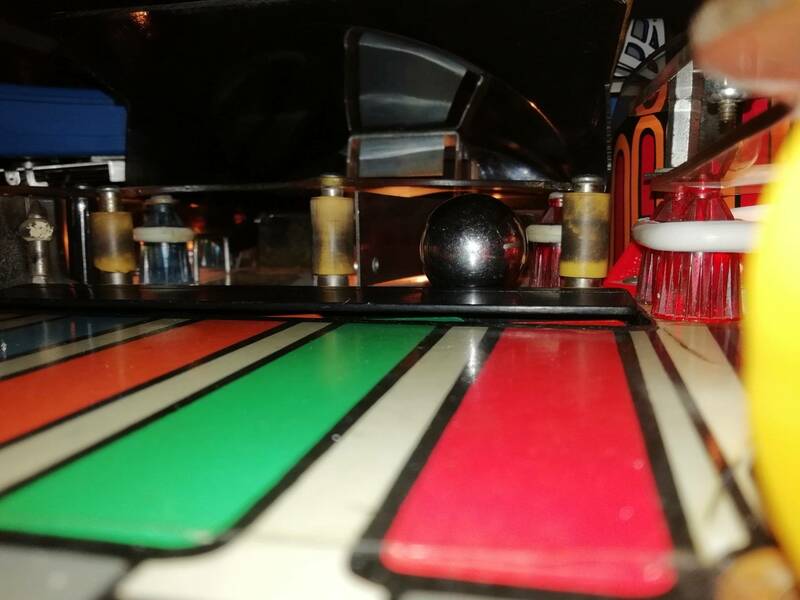 Good catch, yep 2 balls in Pinbot. I've edited my original post. 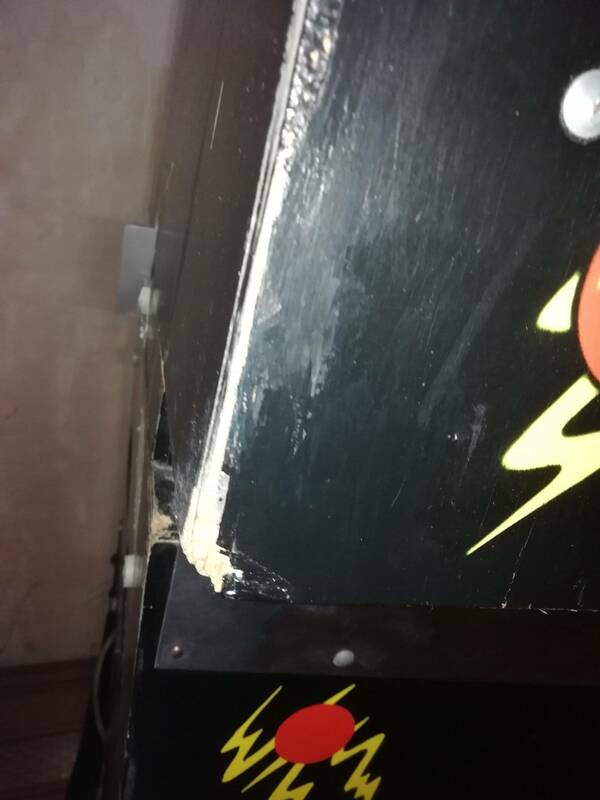 Are the leg bolt brackets inside the cabinet stripped or broken? If so replace them with the Heavy Duty brackets this is what they look like. Your legs will be rock solid then. Replace the leg bolts too. Welcome to the club. 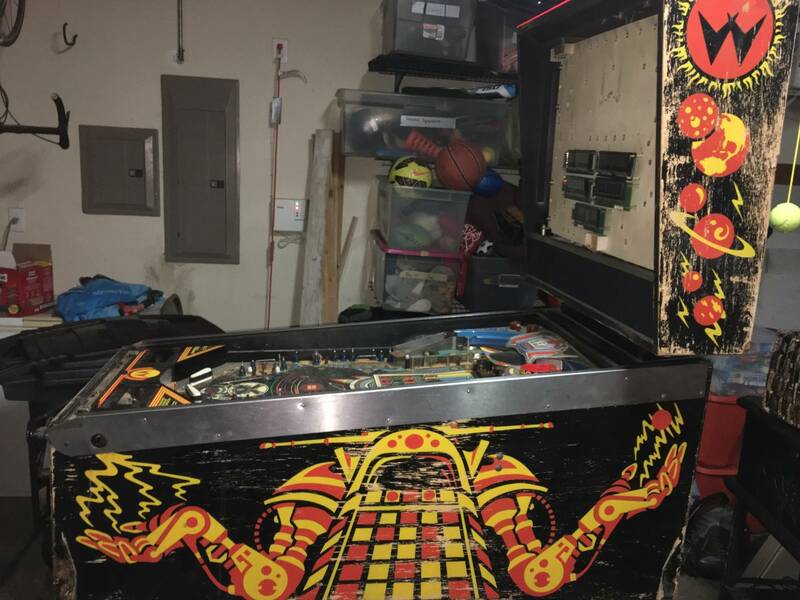 Looks like your Pinbot has given a lot of fun to a lot of players in the past 30+ years, and yet he still has even more fun left in him to give to you. I have had mine for 28 years, and once I had him working 100%, he has been rock solid ever since. But my machine saw a lot of wear in his initial short, but very prosperous career, he made a lot of $$$ for several ops before I retired him to my home. He had a lot of miles on the cabinet... been up and down a good amount of stairwells, by the looks of the dings and scrapes. 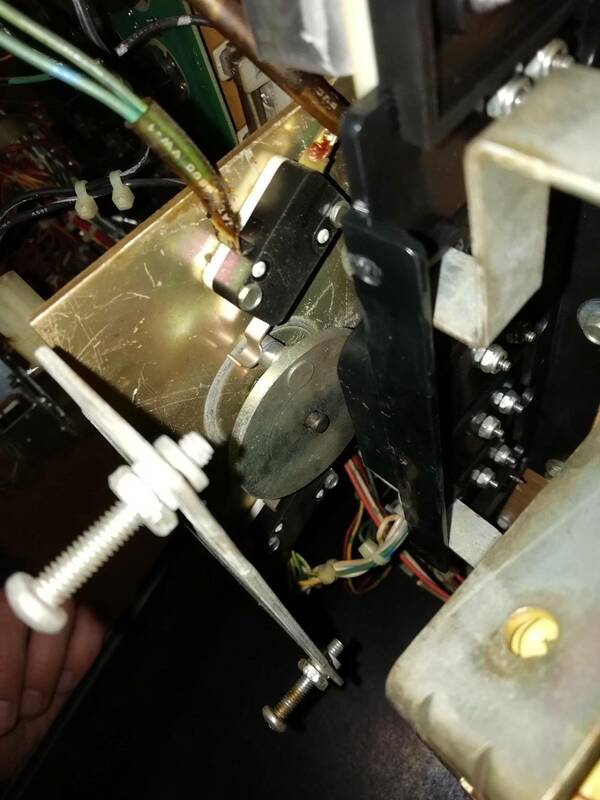 You got a decent machine to work with, and parts are more available due to the number of machines that have been parted out over the years. When buying replacement parts, big piece of advice. Don’t buy two of everything and put one new one in and keep one new one as a spare. 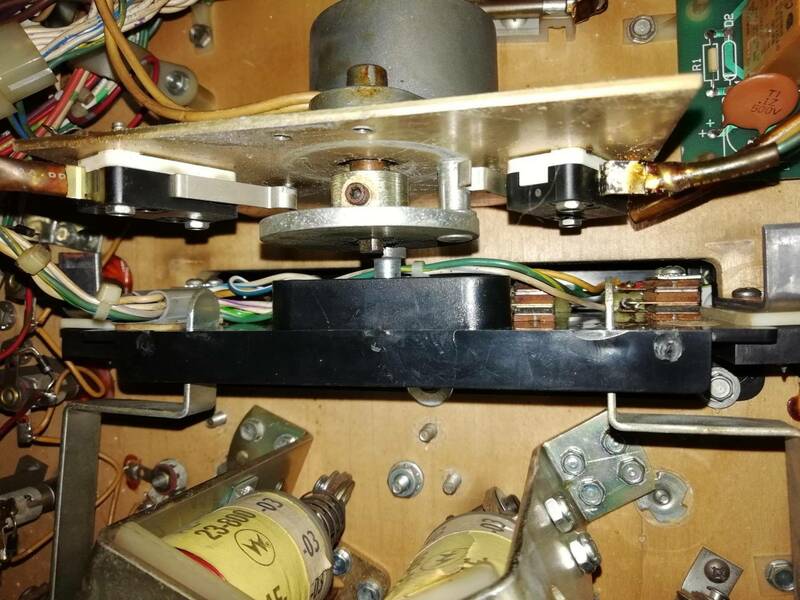 You will most likely never need the spare parts unless it is a consumable like flipper or mech parts that will need replaced now and again. But I bought a spare everything I could find and put it in storage, and I have never needed them, plastics, ramps, targets, target carrier, translite, displays, all of it... once I had it fixed, the spares were an insurance policy on future damage that has just not happened in 28 years in my home. If you need a part and you can’t seem to find it anywhere, just ask on here. One of us will more than likely have 2 and be willing to part with one. Guys, next thing I'd like to do is: fix the visor (the ball often stucks there). If I want to get your help, should I create a new thread or I can write below? The visor is sitting too high and the ball is getting stuck behind it. 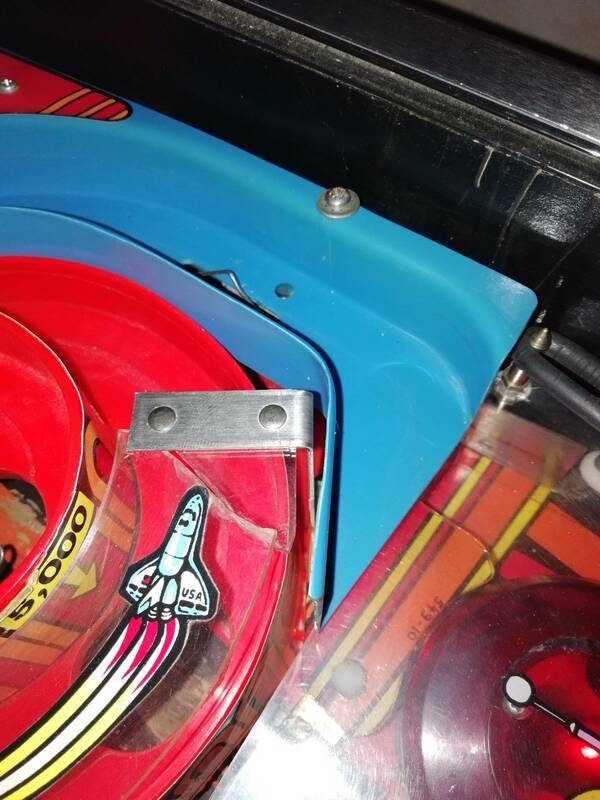 Under the playfield there should be two set screws that determine how high that bank sits on the bracket. 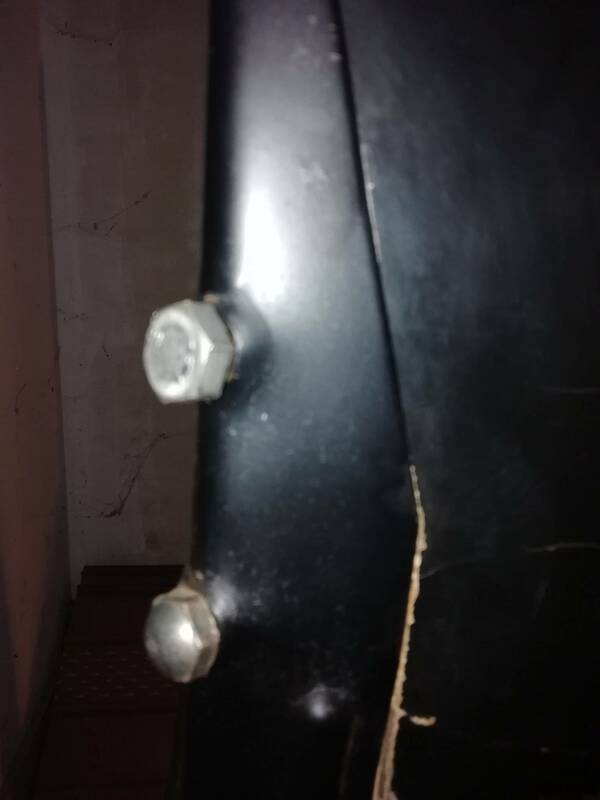 Unscrew those screws and the bank should drop lower. clean it up and fix the small problems and have fun. It will last longer than a new one. No they are not. There are screws that adjust the height of the visor. There is no way they can be fine if the visor is sitting too high. 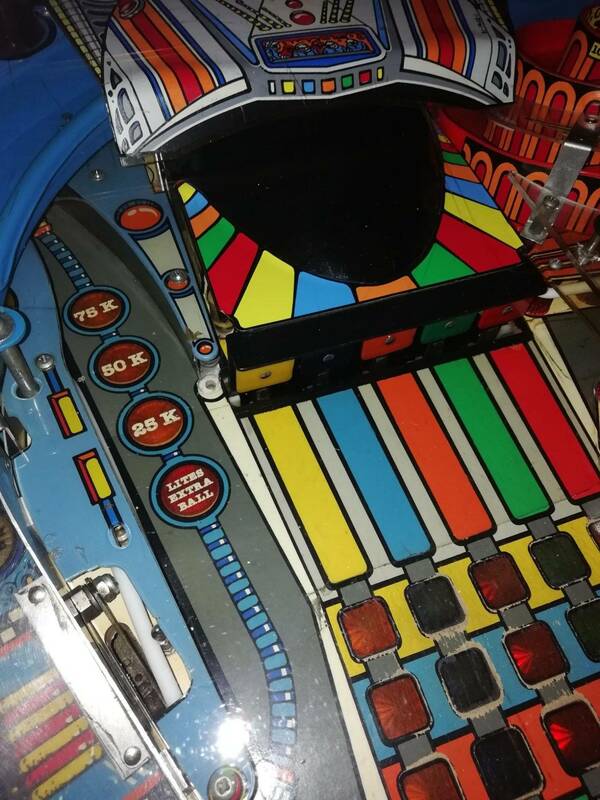 Lower the visor and lift the playfield and adjust the screws. You will be able to see it moving up and down. I thought there was only one but there may be too. If memory serves it is on the bottom of the assembly. I'm able to press softly visor by my finger and then it's compatibile with the PF. In my opinion it means that 2 screws are fine. 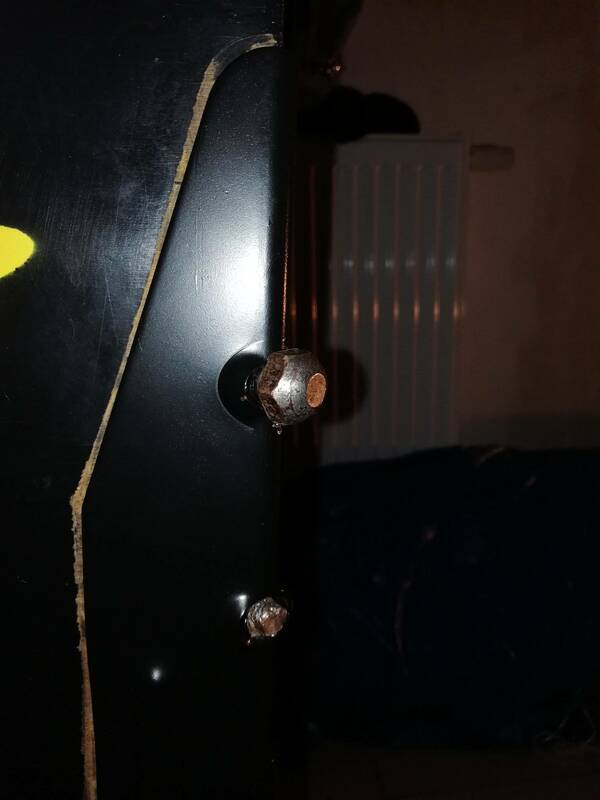 If you think it's a good idea to remove those screws and watch what will happen, I can do it. 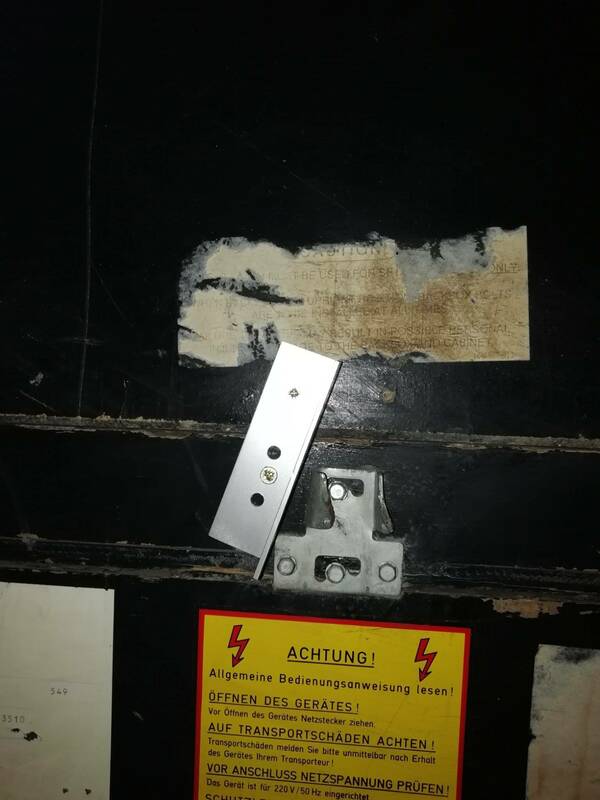 Below I put the photo of screws I'm writing about. I also put 2 more photos. I had this exact problem on a pinbot. The screws are aligned correctly but it won't fall/settle that last little bit. As described in his response that seems to be the issue - he can push it down with his finger and it settles where it should. I honestly don't remember how or if I fixed it, this might have been 15 years ago. 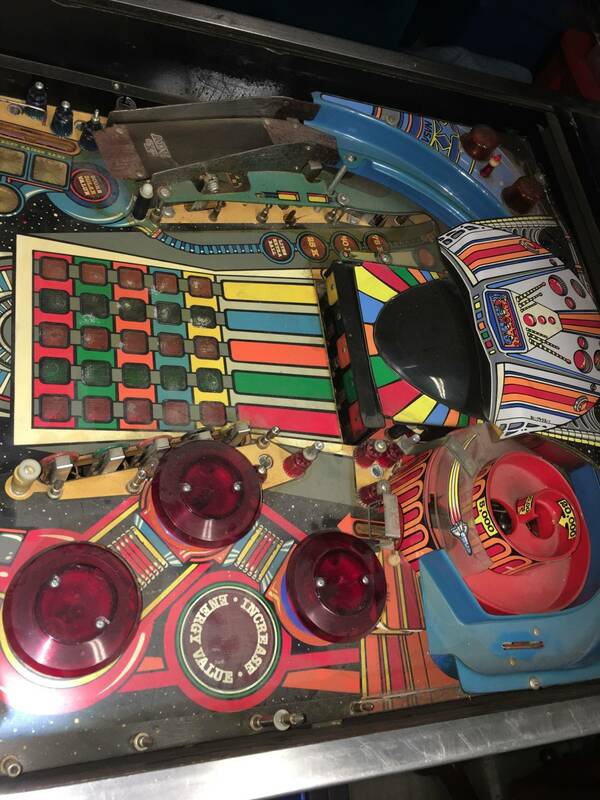 I'd start by cleaning everything, to make sure no schmutz/dirt is making the visor stick above the playfield. Anywhere there's plastic on plastic/metal contact, make sure it's nice and clean. beyond that make sure everything is aligned correctly. May have to take the mech apart. It looks like your missing the small bushing that goes on the shaft of the motor. +1 on the missing bushing... more than likely the problem. 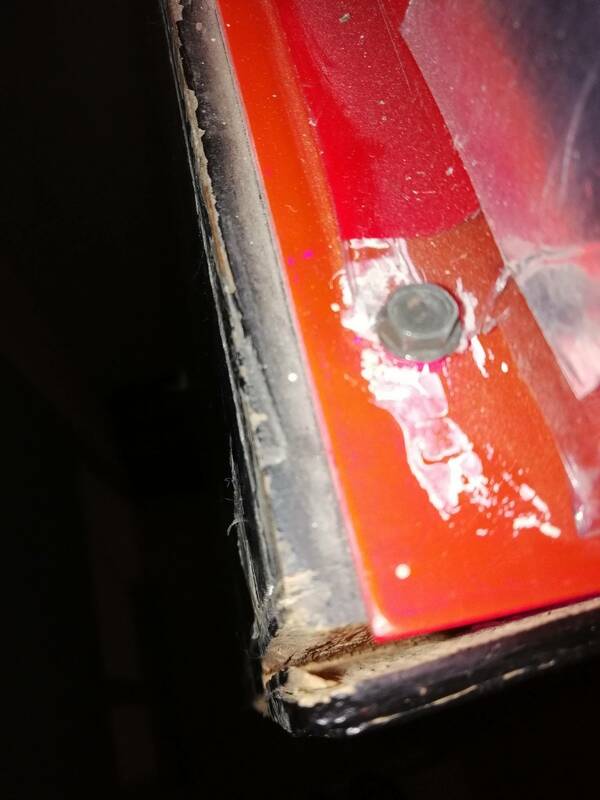 Needs to be a metal bushing, plastic on plastic rubbing will destroy the target carrier track faster if you use nylon, although initially it can make it work, it gets worse as plastic dust builds up and helps accelerate the wear. The correct metal bushing lets the mech work for years without a hitch. I know, since mine has worked flawlessly for 28. I cleaned and lightly lubricated the bushing when I shop it, realigned the target carrier brackets and visor actuator and made sure it all ran without any rubbing or binding. Leveled the target carrier using the adjustment screws, tweeked the carrier up and down switches to stop the Visor in full open and fully closed positions. Once you have this working 100%, you will never need to mess with it again. Can you guys be a little more specific where this bushing goes? Mark up a photo maybe? 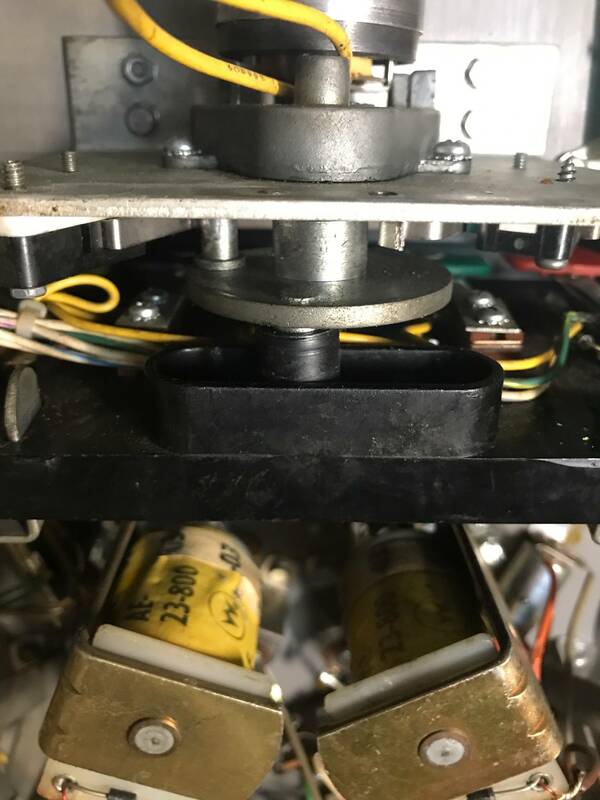 Is that bushing supposed to be able to spin/turn on its arm, or is it stationary? Yes, it is free to spin/turn. Oh yes sorry for misunderstanding. So I suggest watch what happens when you push down on the assembly. I assume something is warn on it that is causing it to get stuck. Start by cleaning the entire assembly really well. Thanks mate! Have I pointed the missing part correctly below? I understand that I need to get a metal brushing from somewhere. I guess it is difficult to buy the genuine part, prabably I need to find something similar in stadard metal shop. Am I right? 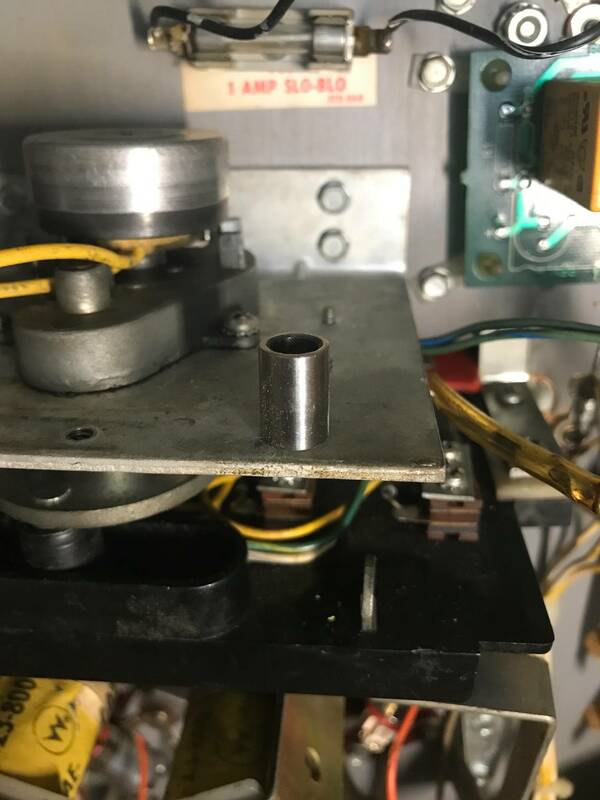 Can I find the dimensions of this bushing anywhere? That is the bushing. There is a crude dimensional diagram on their sight showing the bushing over top a 1/4 inch grid. I need to find a similar bushing in my country. These look like standard bushings in English measurements of 3/8” outer diameter, 1/4” inner diameter, 1/2 inch long. Convert to metric and see what you can find... send me your address in Warsaw, I’ll send you one in an envelope, they are small and cheap. I want to buy a few spare parts in the german online shop but the shipping to Poland is quite expensive. That's why I would like you to judge if I chosed the proper parts for my PINBOT - as a begginer I want to avoid any mistakes. I'll be really glad If you help me. 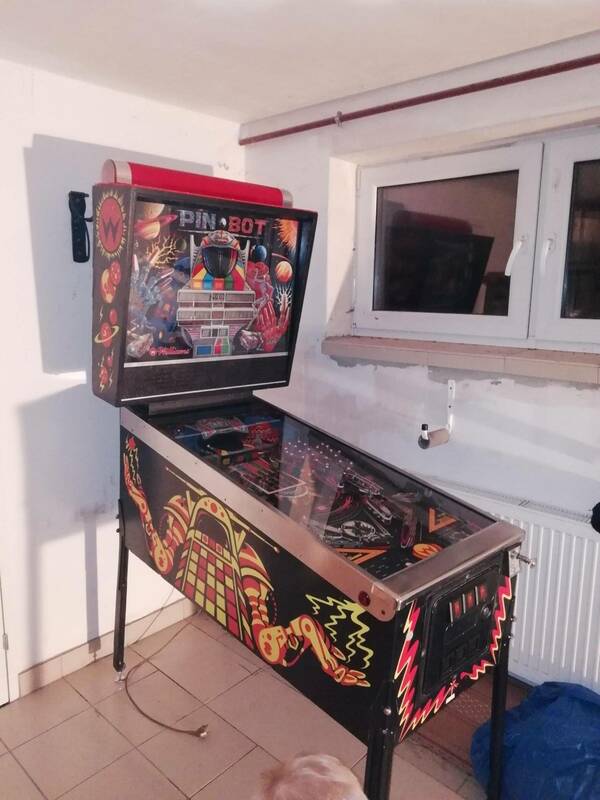 Pinballcenter shipping cost to Poland (or The Netherlands) is in line with other German shops like Pinball Universe. EUR 13,50 for a small order, which isn't too bad. I ordered from both these shops in the past year. I've found a few more spare parts. Can you check if I get the proper ones? So I just got a pinbot as well. Something I’ve wanted for a long time. The visor is doing something similar. It doesn’t always go all the way down. It’s not making it all the way to adjustment screws. Are you guys saying the plastic bushing shown on my motor is incorrect? It should actually be the metal one I found in the bottom of the cabinet with the other scraps I found shown in the third picture. Not sure if so why someone would remove it. Maybe they just lost it in there and gave up. Bunch of random screws and crap in there I found when tipping it up. It will drop the rest of the way if a ball hits it. However when it’s down it then it tends to jump and wedge itself under the visor. Assuming it just needs to be flush with play field to resolve that? Sorry for hijacking this thread with my questions.